Now that its started raining again the English summer begins. 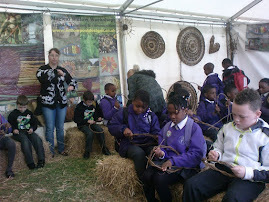 This means that we will be appearing at garden events, countryside shows and game fairs throughout the land. Our first event is at Pickering Showground next weekend. Lets hope the rain has stopped by then! 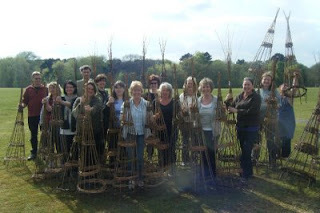 we had a great day today weaving willow wigwams outside in the spring sunshine. we had 20 students and nearly everyone made 2 wigwams to take away for their gardens. 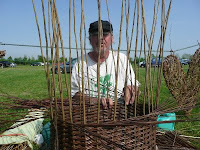 This was our last willow project until we get back from our spring break in Menton, France. Menton is a great place, you can walk into Italy along the beach, visit fantastic gardens or visit museums in Nice and Antibes. If you go to the links page at our website at http://www.willowpooldesigns.co.uk/ you can see some pics of our trips to Menton and other places in the med. 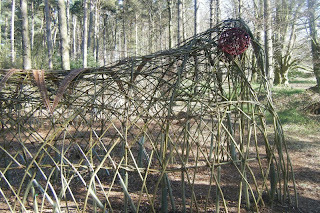 We finally finished creating the willow snake at Dalby Forest near Pickering. 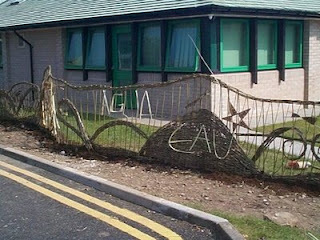 We worked with the Friends Of Dalby Forest to weave the markings for the snake. The weather was brilliant today and we had an enjoyable day. 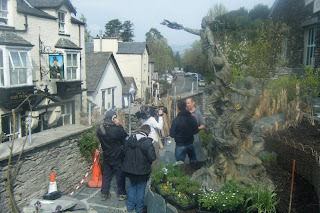 The first picture is of the Beatrix Potter Garden, Windermere. Richard Lucas, the garden designer, is being filmed for the BBC programme Country File. 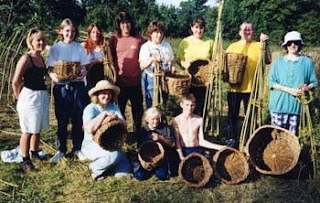 we were filmed weaving the willow borders. The second picture is of the Living Willow Snake at Dalby Forest. 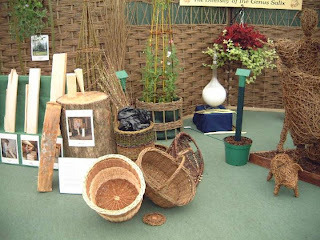 This week and next are our last living willow projects until November. Today we made a living willow fence at Garston C of E Primary School, Liverpool. Yesterday we were working on the new Beatrix Potter Garden in Windermere. 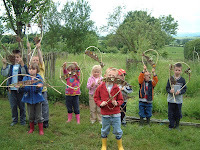 Sunday finds us in The Dalby Forest near Pickering finishing of creating a Living Willow Snake! Simone is standing in the Beatrix Potter Garden in Windermere and had just finished weaving the panel in the background. The Beatrix Potter garden was designed by Richard Lucas who also created the Chelsea Flower Show Gold Medal winning Cumbrian Fellside Garden with Kim Wilde. 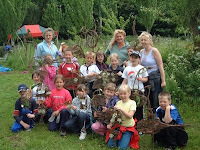 We carried out all of the willow work on that garden as well.